Crunchy BBQ Chicken Salad - Kosher In The Kitch! Crunchy BBQ Chicken Salad - Kosher In The Kitch! This is my, no time to fuss in the kitchen but I want something good for dinner recipe! Heat up the Shniztel then cut into strips or bite size pieces. Toss all the ingredients in a bowl. Mix the mayo and bbq sauce and dress the salad once the shniztel has been added. this sounds delicious!!!! i can’t wait to try it! 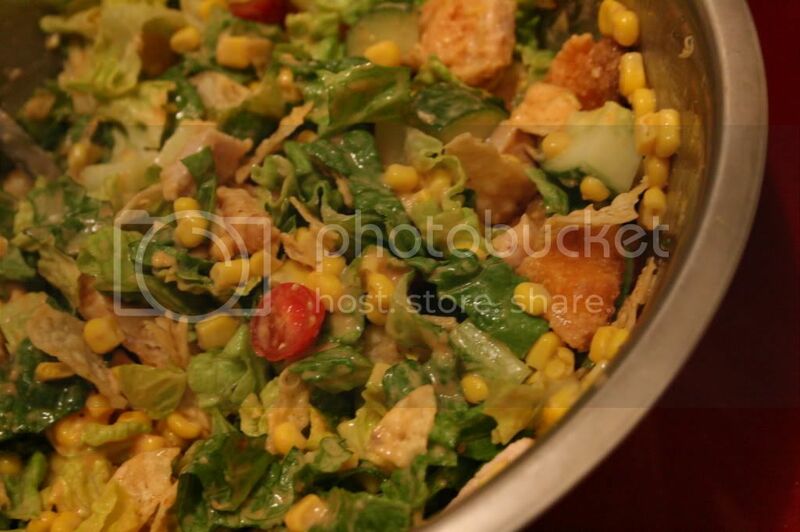 i made this salad on shab and my guests LOVED it! one of them actually had three portions of it and insisted on getting the recipe after shab. So easy and so delicious! Thank you so much for ur weekly emails!